A version of this column was published on October 24th, 2012 in USA Today. As the cost of prescription drugs soar, more patients are turning to online coupons or discount cards from drug companies or promotional offers in magazines. In the past year, it is estimated that 19 million Americans whom took prescription drugs used such incentives to save money. The healthcare industry has witnessed a five-fold increase since 2009, with 395 medications today offering a promotional savings program. In most cases, drug coupons can expose patients to potentially higher long-term costs, increase health spending, and mainly exist to protect the profits of drug companies. For example, let’s take a look at patients with high cholesterol. I normally prescribe the generic statin drug simvastatin, which has a monthly co-pay of about $10 in most commercial insurance plans. But I’m finding more patients specifically requesting Lipitor, Pfizer’s brand name statin, because of a web coupon which discounts co-pays to $4. However, Lipitor costs over $1,400 more a year than simvastatin. So while patients pay less, their insurers are on the financial hook for substantially more. In fact, drug coupons are estimated to increase prescription drug spending by $32 billion over the next 10 years. Over time those costs come back to haunt patients. “An individual patient who receives a coupon might not realize that, although that particular prescription may cost less that month, overall what it does is to raise costs for everyone, including themselves,” according to Susan Pisano, a spokeswoman for the industry trade group America’s Health Insurance Plans. It is also important to consider that the terms of drug coupon programs are completely at the whim of drug manufacturers. Some limit how many times the coupons may be used. Others require patients to jump through hoops and regularly visit drug company websites in order to renew. Most patients are unaware of the potential privacy concerns, as they are usually required to divulge their personal information—sometimes including their home address and even part of their medical history—before receiving coupons or discount cards. Worst of all, drug coupon programs can end abruptly. When this happens, patients whose chronic diseases are managed by expensive brand name drugs are left to financially fend for themselves. 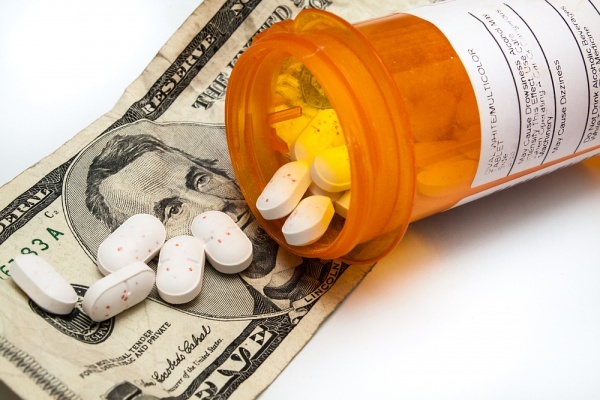 If they don’t proactively change their medication regimen to generic alternatives with their doctors, their annual drug costs can easily rise by several hundred dollars or more. I’ve seen patients simply stop taking their drugs once their costs rise suddenly, which in the case of diabetes, hypertension or high cholesterol, can lead to severe, and more expensive medical complications. As more brand name drugs go off exclusive patent protection, drugmakers’ revenue streams are under siege from the availability of cheaper generic equivalents. Just this past decade alone, drugs that brought in $110 billion in annual sales had their patents expire. In order to keep a slice of these evaporating dollars, the promotion of drug coupons will only become more aggressive. Patients should collaborate with their doctors and do the math. Most conditions can be treated just as effectively with less expensive generic medications. Even with drug coupons, co-pays for brand name drugs generally exceed those of generics. For a very small minority of patients, drug coupons may make sense. It may make sense in the few diseases where only brand name drugs are effective or in cases of extreme financial hardship where even generic medications are unaffordable. The majority of patients should avoid the temptation of exploring drug coupons.